A PDF version of this white paper can be accessed here. 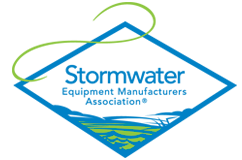 The Stormwater Equipment Manufacturers Association (SWEMA) is highly supportive of stormwater management strategies and regulations that incorporate advances in stormwater science, encourage innovation, and successfully protect and restore receiving waters. Meeting each of these goals can be a challenge even for the best intentioned stormwater program. Recent trends in stormwater management have put an emphasis on the use of green infrastructure (GI) and low impact development (LID) techniques. Both GI and LID can be highly effective tools for mitigating the impacts of stormwater runoff, but there is not a consistent approach to the design and specifications of these systems which can lead to variable performance. In order to protect our water resources and mitigate the negative environmental impacts of human development it is essential that we use the best, most reliable technology at our disposal. To determine which technologies meet this standard we must have an evaluation process which is applicable to all available technologies, including GI and LID. SWEMA remains concerned that the growing trend of implementing prescriptive stormwater regulations and policies that mandate the use of GI and LID approaches is not sufficiently protective of our water resources. Failing to consider, and provide a pathway for acceptance of, other types of best management practices (BMPs) that are able to meet applicable water quality goals and standards hampers innovation and limits opportunities to rehabilitate existing impervious area. Often these prescriptive regulations also make assumptions about the performance of LID approaches that are not validated and are not correct. or entirely unfeasible. To ensure that developers and engineers have access to all types of stormwater BMPs while striving to meet local water quality goals we would be best served by implementing performance based regulatory standards. In addition, a thorough evaluation process that is applied consistently to all types of BMPs would be needed. Performance based standards implemented in conjunction with a thorough evaluation process would ensure local water quality goals were being met regardless of the BMPs being utilized. The performance based approach would provide the engineering community maximum flexibility in site design. It would also encourage the innovation of new stormwater treatment solutions that are able to meet or exceed performance standards more cost effectively. SWEMA recognizes that GI and LID practices can be highly effective stormwater management strategies that provide benefits which extend beyond simply cleaning the water. To that end, SWEMA fully supports and encourages the use of GI and LID approaches where feasible and cost effective. However, as we gain collective experience with these techniques it has become increasingly apparent that on many sites GI and LID approaches alone are insufficient for managing stormwater runoff. Generally speaking, these approaches rely heavily on onsite retention, which makes their use challenging when a site is not well suited for infiltration or rain water harvesting. In particular, site constraints often make retaining the entire water quality volume onsite unachievable, such as in urban settings. In these instances, other types of BMPs, including MTDs, can be deployed in addition to GI and LID approaches to ensure that runoff which is not retained onsite is properly managed before reaching receiving waters. GI and LID approaches are often most difficult to implement in highly urbanized areas that are being retrofit or redeveloped. To encourage redevelopment of our existing impervious areas, the bulk of which are currently without adequate stormwater infrastructure, it is crucial that thoroughly vetted flow-through BMPs be recognized as viable solutions for sites not well suited for GI or LID. MTDs are particularly well suited for sites without sufficient area since they can be sited below ground to provide both quality and quantity control on sites. For example, GI and LID systems are often built with underdrains when site conditions are not conducive to infiltration. In the case of bioretention cells with underdrains that are built on very tight soils, this BMP is no different than a filtration MTD. However, there are no consistent design standards for bioretention cells, nor are there consistent soil media specifications. Materials used to produce bioretention soil media are variable from region to region, as well as source to source with little to no quality testing being conducted on the end soil media product. This combined with a paucity of water quality performance data has resulted in a situation where bioretention performance cannot be presumed consistent or efficient. Research in the Pacific Northwest, Australia, North Carolina, Wisconsin, and many other regions has indicated that bioretention media can export nutrients and dissolved copper. These finding indicate that it is essential that an improved and nationally consistent media specification be employed before a presumptive approach to bioretention application can be applied by water managers. In addition, once a uniform specification is identified, the system should be assessed using a nationally accepted testing protocol, and performance verification process. A major and ongoing source of frustration for many engineers and developers has been the lack of a consistent process to evaluate and determine the effectiveness of stormwater BMPs. Unfortunately, evaluating BMP performance is complicated and expensive. However, creating a robust process that incorporates the most current science and monitoring methods is readily achievable. This is evidenced by the success of the treatment technology testing programs developed and implemented by the states of New Jersey and Washington. Equally critical is that the process be applied consistently to all BMPs whether they are traditional land based systems, MTDs, GI, LID or an emerging technology. Evaluating all BMPs’ performance characteristics is the only means to compare and contrast all BMPs and choose those best suited for a particular situation. This is the best way to protect receiving waters. Ensuring that there is a pathway within this process for new stormwater management techniques to be evaluated and gain acceptance is paramount to encouraging investment in stormwater research. Future innovations will be key to further reducing the cost of stormwater management, driving job growth, and protecting water resources. Currently there are numerous barriers in place that make it extremely difficult to gain acceptance of new stormwater practices and strategies. For example, innovative BMP manufacturers face a labyrinth of local testing and evaluation criteria, but even more discouraging are the numerous regulatory bodies that avoid consideration of anything new on account of the lack of resources or guidance on how to do so. Yet many of these same jurisdictions accept GI and LID with little scrutiny of design details and performance assumptions. Without a clear path from evaluation to acceptance, and a reasonable level of assurance that all BMPs will be evaluated in the same manner there is little incentive to invest in research that could spawn the next generation of stormwater BMPs. SWEMA recognizes that stormwater management continues to evolve and that we must continue to refine our regulations and policies to reflect advances in the science and our collective knowledge of the subject. However, we must avoid establishing prescriptive regulatory policies that maintain the status quo, accept GI and LID with little scrutiny, and simultaneously restrict the MTD solutions available to address the unique constraints of a particular site. A more logical approach is to encourage reliance on performance based regulatory standards that are rooted in pollutant thresholds established for adequate protection of receiving waters. By defining expectations for BMP performance, the BMPs capable of meeting performance expectations and deemed feasible given site specific constraints may all be considered. GI, LID, and other approaches which keep runoff onsite should certainly be encouraged, but it should be clear that retaining stormwater onsite is not always feasible. Pairing GI and LID approaches with adequately vetted MTDs that can treat runoff when it can’t be retained should be common place. This will provide maximum protection to receiving waters. To compliment strong performance based regulatory standards we also must establish a robust evaluation and performance verification process that can be consistently applied to all types of BMPs. Whether a BMP is considered a traditional land based practice, a MTD or GI should have no bearing on how a BMP is evaluated and ultimately performance verified. Additionally, a sound BMP evaluation program must include a clear path for evaluating new BMPs and encouraging acceptance of those that meet or exceed applicable performance standards. This provides an environment that encourages innovation. Developing a comprehensive stormwater management framework that is rooted in performance based standards, evaluates and verifies the performance of all BMPs in a consistent manner and includes a clear path for acceptance of new innovative solutions should be a common goal for the environmental industry and regulators. Performance based standards ensure water quality is protected without hindering innovation or forcing development out of urban areas to undeveloped areas less prone to site constraints. Consistently evaluating and rating all types of stormwater BMPs ensures BMP comparability. Ensuring that there is a clear path to acceptance for new stormwater innovations is another way to encourage investment in stormwater research, which in turn leads to new advancements, more cost effective solutions and furthers the ultimate goal of benefitting downstream receiving waters.